Friday was the first full day of the festival. Screenings start as early as 9 a.m. and there are usually several good movies to choose from. My early morning choices were, Rafter Romance (1933), The Maltese Falcon (1941), Cry, The Beloved Country (1951), Beyond the Mouse the 1930s Cartoons of UB Iwerks, and It’s a Mad, Mad, Mad, Mad World (1963). 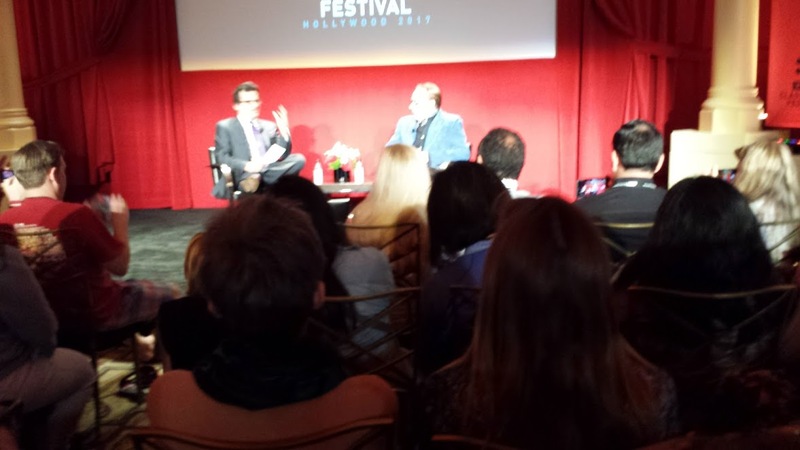 It wasn’t that long ago that I saw The Maltese Falcon on the big screen at a Fathom/TCM event. 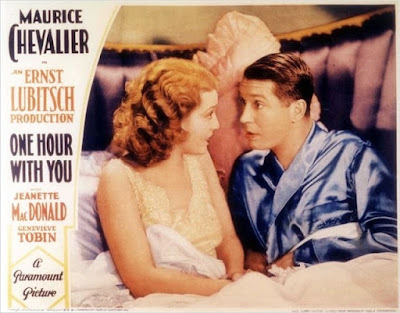 I didn’t want to commit to It’s a Mad, Mad, Mad, Mad World, a long, long, long, long movie, but I did want to keep with the comedy theme of the festival, so it was Rafter Romance over Cry, The Beloved Country. 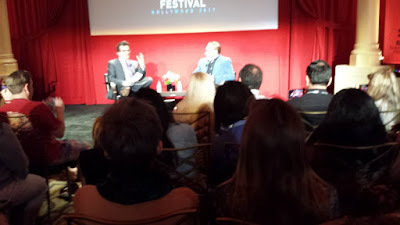 After those two comedies, I took a break from the movies to go to Club TCM for “A Conversation with Peter Bogdanovich.” Like Martin Scorsese, Bogdanovich is a director and film historian in his own right. He’s interviewed some of the greatest directors from Hollywood’s Golden Age, including John Ford and Howard Hawks. He’s a terrific storyteller and does great impersonations of Cary Grant, Jimmy Stewart, and Orson Welles. He was at his best when he was recounting stories of those Hollywood legends. He also discussed his film career and spoke about how he got started as a director. Bogdanovich wrote an article on film for Esquire magazine that caught the attention of producer/director Roger Corman. He ended up working with Corman on the film Targets (1968) starring Boris Karloff. He also spoke about his early directorial successes: The Last Picture Show (1971), What’s Up Doc? (1972), and Paper Moon (1973). I think I could listened to his stories for days on end; he was that entertaining. 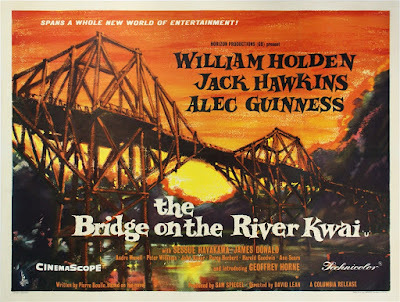 Next up was a movie epic that I had never seen from beginning to end: The Bridge on the River Kwai (1957). It was shown at the Chinese Theatre in a restored digital presentation. The movie did not disappoint. The production was impressive, as were the performances of William Holden, Jack Hawkins, and Alec Guinness who won a Best Actor Oscar for his performance as the by-the-book British colonel in a Japanese POW camp. 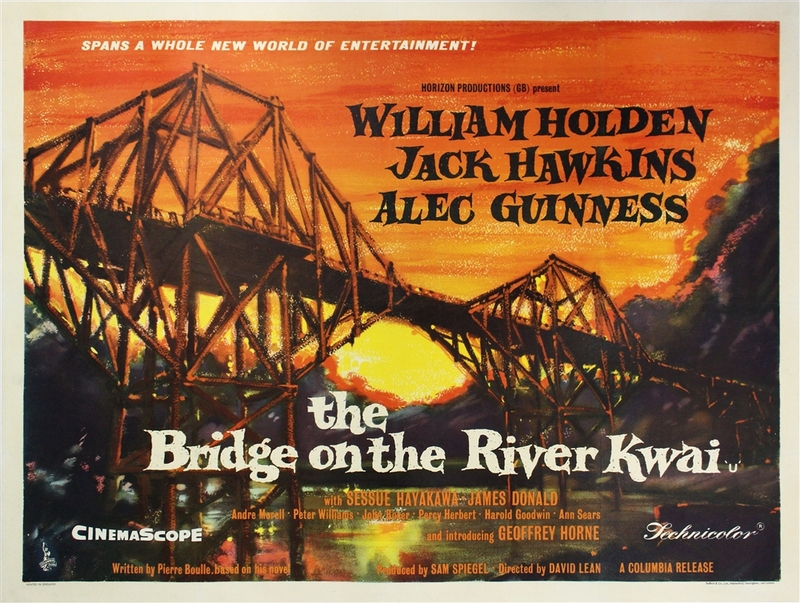 This was director David Lean’s first big budget movie. It was a critical as well as an international box office success. I’m glad I finally got to see this film in its entirety. It more than lived up to its reputation. Alex Trebek introduced the film with some interesting trivia about the director and casts alleged womanizing!? Not sure how that added to the film’s enjoyment, but it was an interesting aside. I was back at the Egyptian for the nitrate screening of Laura (1944). Laura is one of my favorite movies and Dana Andrews is my favorite movie star, so I was excited to see this classic on the big screen. 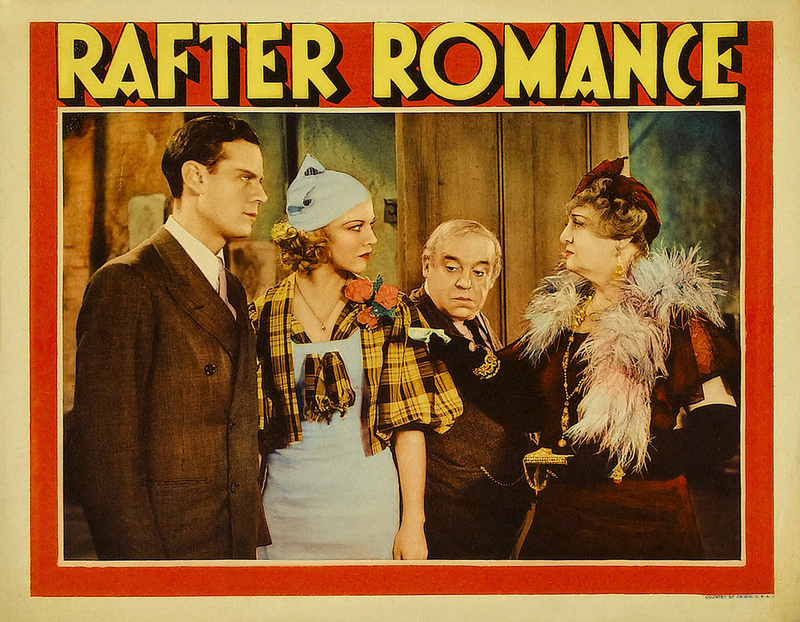 After all the hype surrounding the nitrate screenings, I found this print lacking. It was dirty in spots, the focus was in and out, and worst of all, the film skipped and important dialogue was missed. If you’ve seen Laura, you know that the film is filled with great, witty dialogue. You don’t want to miss any of it. Parts of the film looked good, but overall, I was disappointed. Still, it was great to see Andrews, Gene Tierney (another favorite), Clifton Webb, Vincent Price, and Judith Anderson on the big screen. I wish we had been prepared for what to expect from this screening. If we were given a heads up as to its deficiencies and if they had pointed out the scenes that were sharp and worth noticing, I would have felt better about the overall experience. When you have a theatre like the Egyptian packed with films noir fans, you can expect some snipping—and there was quite a bit of it—about what we saw on the screen. Even though I ended the evening on a bit of a sour note with Laura, I would have to declare the entire day a successful one. I got to see all the films I wanted to see and had a great time experiencing them with a live audience in true movie palaces. Saturday brought more tough choices. Decisions, decisions!